I've been busy this week getting some things done for my May brides. And as a result, I've been immersing myself with tons of inspiring weddings. So in response to that, I thought today's five things should be all about weddings! Hope you enjoy! Hydrangeas aren't just for bouquets anymore. 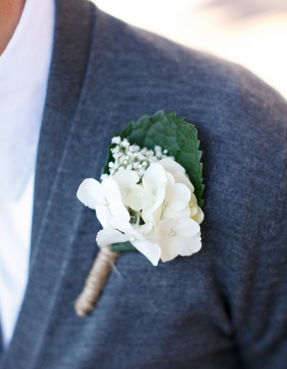 I'm loving this hydrangea boutonniere. Both of my brides will be incorporating jute into their wedding decor as well. You can't go wrong with the natural look of the wrapped stems. Pennant food labels. Amazing. I think these would work great at a beach wedding with the flags being reminiscent of nautical flags. And I'd substitute the jar filler shown here for sand. 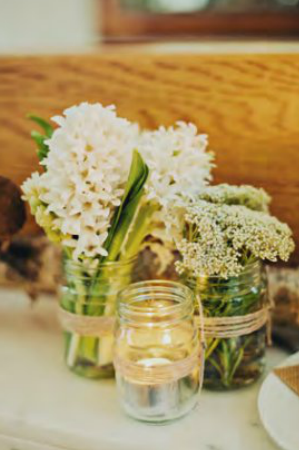 I don't think I'll ever tire of grouped white flowers and jute wrapped mason jars. Ever. 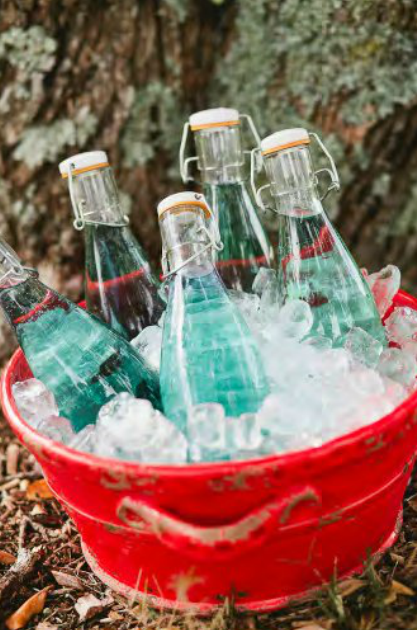 Vintage bottles are a great way to serve drinks at your wedding or party. Charming, unique and inexpensive (Ikea or TJMaxx sell these), these are sure to have your guests talking. 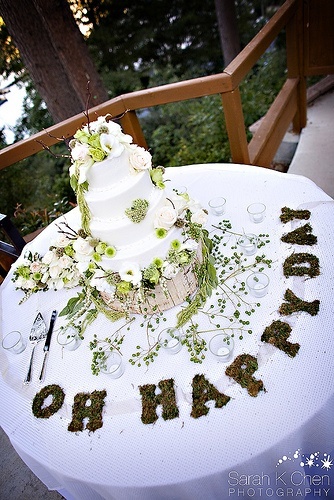 I'm not sure which I love more, the moss covered letters or the phrase they create. 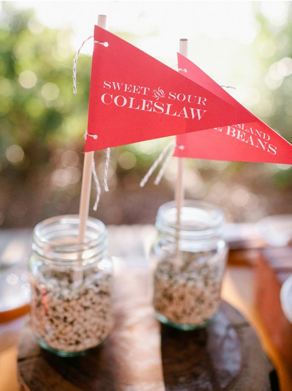 Spice up your wedding cake table with this sweet idea!